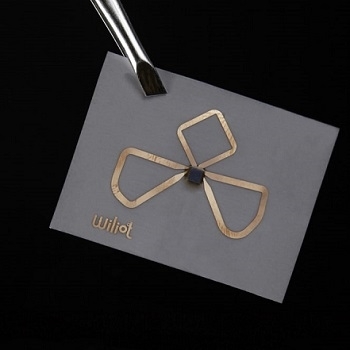 Wiliot, the semiconductor pioneer and innovator, has demonstrated the first-ever sticker-sized Bluetooth sensor tag incorporating an ARM processor powered solely by scavenging energy from ambient radio frequencies. They showcased this at the National Retail Federation (NRF) 2019: Retail's Big Show in New York City. The company also raised a $30 million series B for a total of $50 million in funding after the demonstration. A Wiliot chip glued to a simple antenna printed on plastic or paper can authenticate the proximity of a product by transmitting an encrypted serial number along with weight and temperature data from a device the size of a postage stamp. 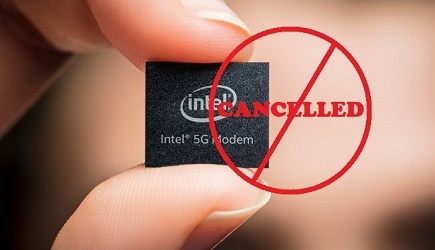 Eliminating most of the components associated with traditional Bluetooth, these tags lower sale and maintenance costs to previously unachievable levels. The tags use Wiliot's breakthrough in nanowatt computing to communicate with any device enabled by Bluetooth Low Energy, such as smartphones, Wi-Fi access points and Internet of Things (IoT) devices that can connect to digital displays, Wi-Fi and LTE cellular networks. On the heels of their first successful tests, Wiliot, whose R&D department is based in Israel, closed a Series B round of funding with Amazon Web Services (AWS) Investment Arm, Samsung Venture Investment Corp., and Avery Dennison. These organizations have joined Norwest Venture Partners, 83North, Grove Venture Partners, Qualcomm Ventures, and M Ventures to raise an additional $30 million of funding. Bluetooth tags can be embedded in the production phase of consumer goods, allowing real-time tracking through the manufacturing process, to the warehouse and from the store to the end consumer - all while being sensed for critical information. Click here to learn more about Wiliot.